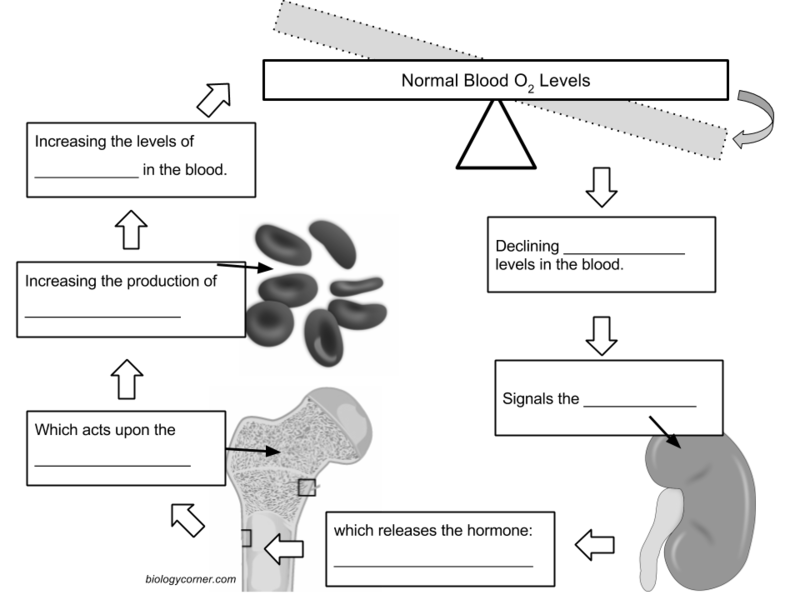 In order to maintain homeostasis, the body must maintain a consistent supply of oxygen. The hormone erythropoietin, which is released from the kidneys, will stimulate the bone marrow to produce more red blood cells. This has the effect of raising blood oxygen levels.